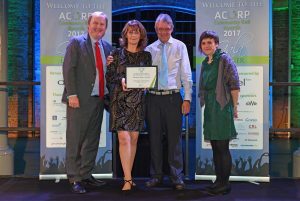 C0mmunity Rail Cumbria took the top award at the annual Association of Community Rail Partnerships (ACoRP) Community Rail Awards on 5th October 2017 beating off strong nationwide competition on a showcase night for the community rail movement. 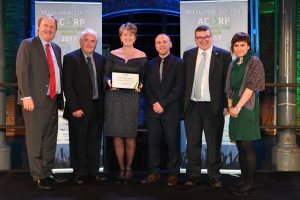 The Team presented a programme of projects aiming to put the railways back into the heart of the communities they serve and won a number of awards including the 2017 ‘Outstanding Contribution to Community Rail’ Award. 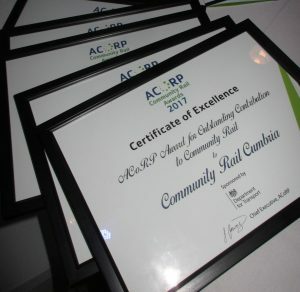 The Community Rail Awards, now in its 13th year, recognises the important and often unsung work carried out by community rail partnerships, station friends and other community rail groups across the country. 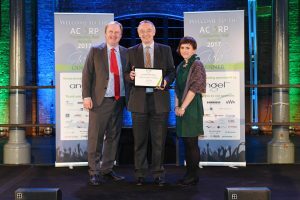 The awards shine a light and reward the breadth of important work happening across this substantial grassroots movement, helping to share good practice, spread the word about community rail’s contribution to mobility, sustainability, prosperity and wellbeing, and encourage more people to get involved. 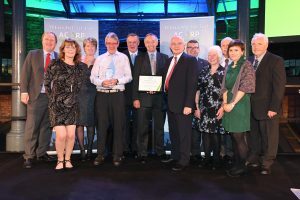 Congratulations to Tim Owen Chairman of the Furness Line and Lakes Line Community Rail Partnerships who won 2nd place in the category for Outstanding Volunteer Contribution. 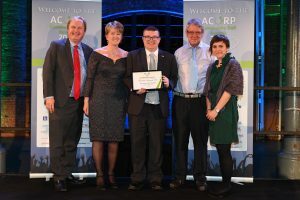 Overall Award for Outstanding Contribution to Community Rail. Award 2nd place in the category of Involving Diverse Groups. Award 3rd place in the category of Best Community Engagement Event. Award 3rd place in the category of Best Innovation in Community Rail.